Paper Tests; My usual materials on sample cards! That said, here’s an intro to surfaces! Acid-free: Acids leftover from the processing phase can yellow papers with age. It’s always a good idea to make sure whatever you are using (not limited to paper, check your tapes too!) is noted as “Acid-free” for archival purposes. GSM/LB: These numbers refer to the weight (in pounds) of 500 sheets of 22 x 30 paper. The heavier the paper, the more sturdy it will be. I tend not to purchase anything below 140lb, as I use a lot of water in my work and anything with a weight less than that is likely to buckle and need several rounds of stretching. My favorite papers are in the 300lb range, these do not require the same amount of stretching and can hold lots of watery applications. 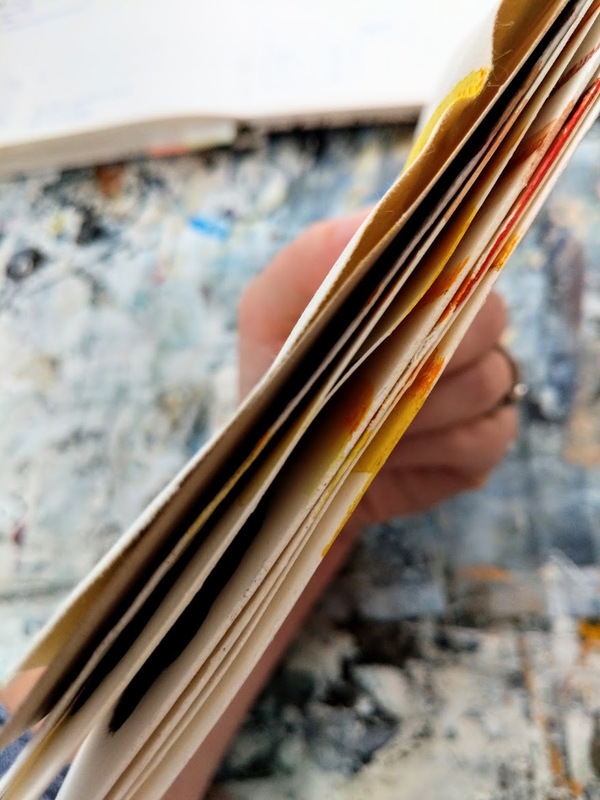 Cotton vs. Cellulose: Artist-grade papers are 100% cotton, Cellulose papers are a little more affordable (student-grade) but use fillers instead of the natural pulp. Hot Press: The paper is smooth and not incredibly absorbent. 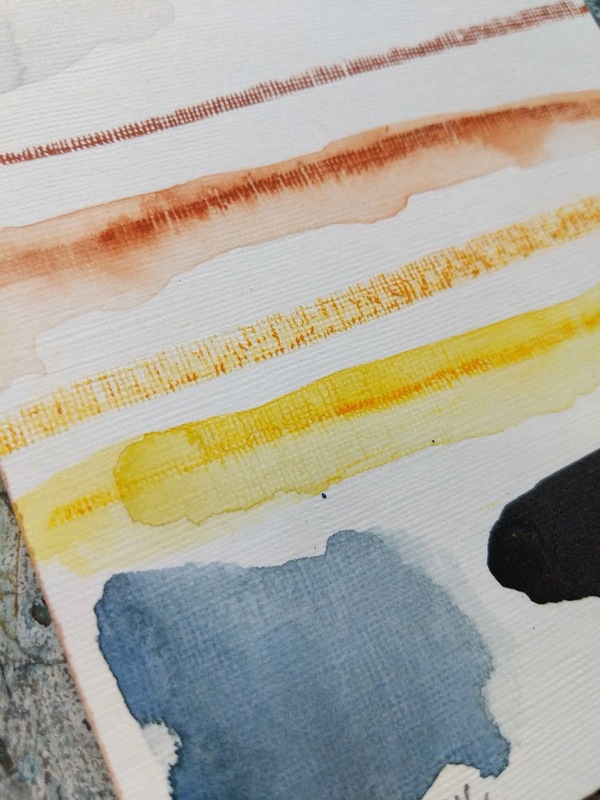 Colors tend to stay more vibrant on the paper, but at the sacrifice of texture. Cold press: Slightly more texture than hot. Medium absorbency, great for washes and heavy paints. Rough: Lots of texture, very pebbled like appearance. 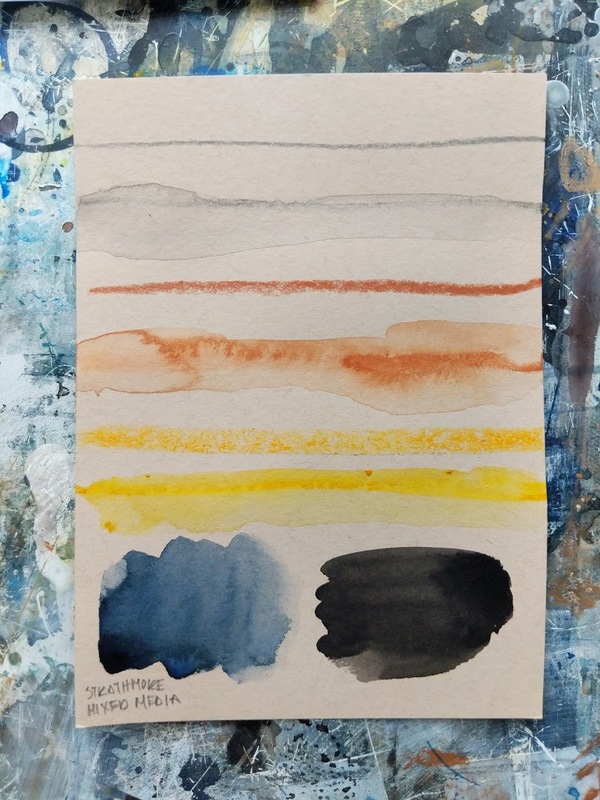 Can be harder to create exact details as the heavy texture can distort lines, but excellent for large stains and washes. 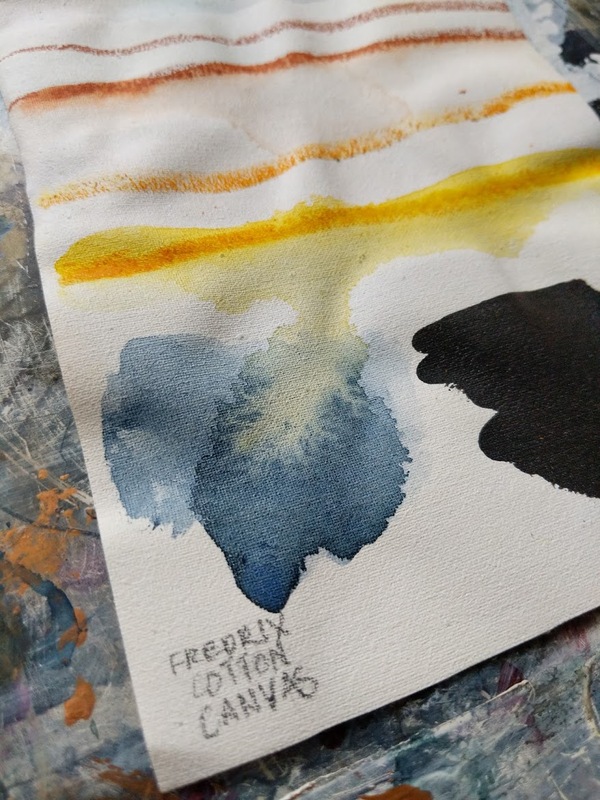 Fredrix Watercolor Canvas: Nice heavy cotton, medium texture, great absorbency. 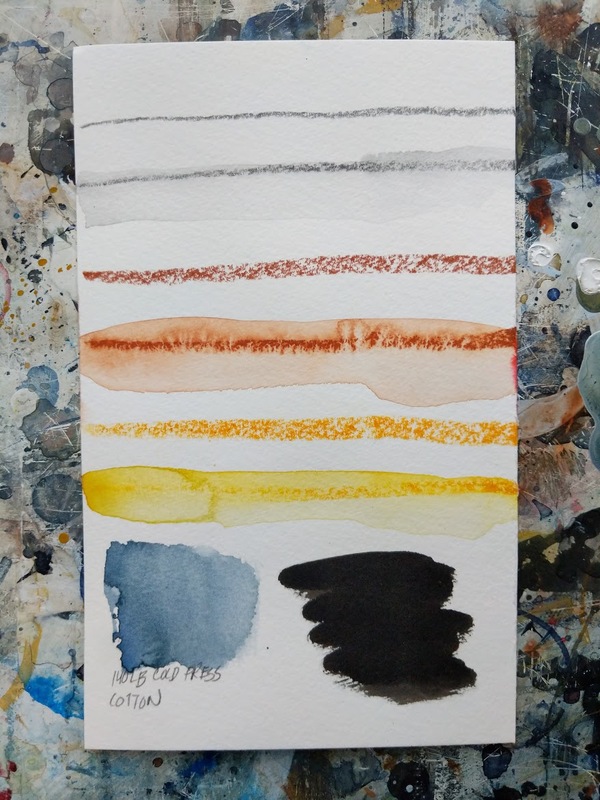 Strathmore Mixed Media (toned): Heavy, smooth paper - low absorbency, so lots of opportunity to move paint around. 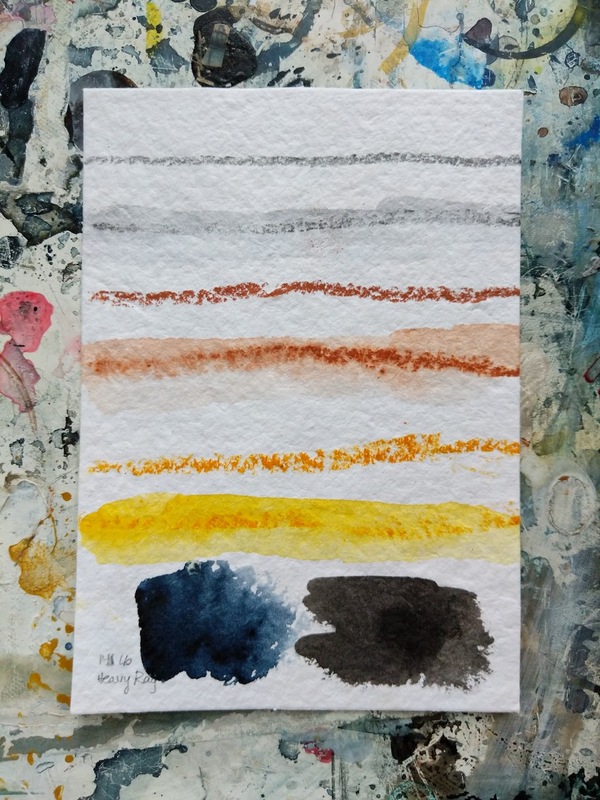 Strathmore Acrylic: canvas-like texture, heavy weight and great absorbency. Sometimes the paper weights will vary company to company, so again - experimentation is key! Occasionally there are deals on sample packs of paper, so keep your eyes peeled at local art shops and online! 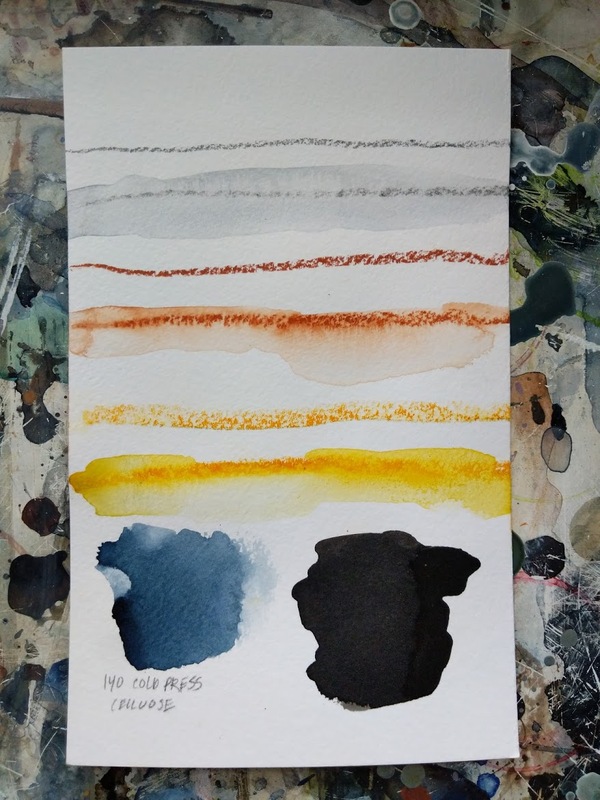 Brands Used: I picked the materials I use the most frequently to demonstrate the paint’s behavior on each surface - but definitely do your own tests before committing to an expensive product! Smooth texture, pooled paint creates nice lines and blooms. Medium texture, dry brushing sticks well. Smooth texture, velvety finish. Paint is easily spreadable. Slight texture, paint pools and makes nice blooms. Super textured, very heavy. Capable of taking multiple water washes without buckling. Rough, heavy rag with great texture. Takes heavy water techniques really well. Visible texture, great absorbancy - a little hard to get details into the texture. 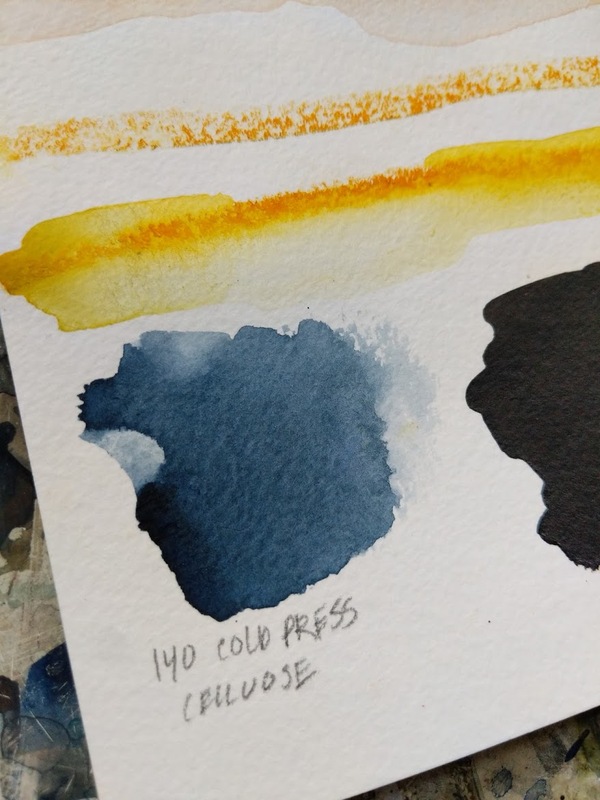 Excellent for multiple types of materials, my go-to for mixed media techniques. Available in non-toned colors as well! Great absorbancy, not too fast in that I can still move pigment around - but not too slow in that it takes too long to dry. Holds mixed media great and has a nice canvas texture. Warping is to be expected (it is real canvas after all!) but is removed by stretching the back, ironing the back or dry-mounting. 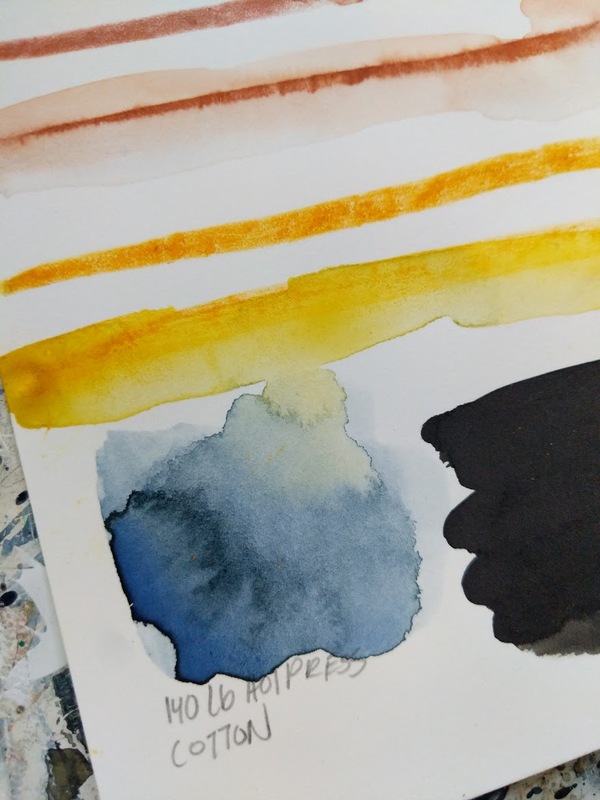 My go-to for travel watercolor work. I had a lot of fun playing with all these papers and I hope this might be handy if you find yourself in a pickle choosing a surface! But again, it’s definitely so, so worth it to do your own tests as well, I never leave a pile of paper tests without learning something!